The Daily Mail (UK): Watch out, Putin! Huge American B-52s that can carry nuclear weapons land at RAF base as part of largest US bomber deployment to the UK since Iraq war. The Scotsman (UK): Here’s why Scotland is in sights of Putin’s Russia. Forbes.com: Why Some Politicians Think Russia Is Behind Today’s Student Strikes. 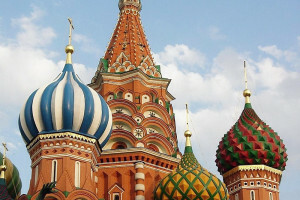 Moscow Times: Alexei Levinson, Has Russia Finally Found its Niche in the World? Russian society’s enduring support for the annexation of Crimea means that the country’s search for a place in the world is over. TASS: Putin signs law on blocking fake news. Meduza: ‘I just absolutely can’t not care’ A new online project collects the memories of thousands of ordinary Russians. Wall Street Journal: OPEC, Russia Deepen Oil Output Cuts but Disagree on Their Duration. Riyadh and Moscow split on whether crude curbs should last beyond June. TASS: Vedomosti: Russian tycoon sues US Treasury over $7.5 bln loss due to sanctions. Russian Ministry of Foreign Affairs: Comment by the Information and Press Department regarding new anti-Russia sanctions adopted by the United States and Canada. Sputnik: Russia Has No Plans to Deploy Missiles in European Part of Country – MFA. www.rt.com: Moscow skeptical as Bolton throws out idea of new arms control talks with Russia & China. Interfax: Almost 9 out of 10 Russians approve of Crimea’s inclusion in Russia – poll. Bloomberg: Russia Still Paying Price for Crimea Five Years After Annexation. Bloomberg: Leonid Bershidsky, Five Years Later, Putin Is Paying for Crimea. His overconfidence after the successful annexation lured him into a trap where he lost all bargaining power. Interfax-Ukraine: Poll: Zelenskiy would win in second round of election. TASS: Poroshenko urges Ukrainians to support him to cross ‘point of no return’ with Russia. Reuters: In Shadow of War, Ukrainians Seek to Vote for Peace. The New Yorker: The New Yorker Interview. Masha and Keith Gessen on Writing About Russia.